A couple of changes since I first launched this a few weeks ago. Nothing major though. I've extended the word count to 2000 but the story can be as short as you like up to that point. I've also brought the date of closure back to the 22nd of December as I am now out on the 23rd and want to be able to read everything before I make my choice. There is a prize, which for UK residents is a subscription to a magazine of your choice for a year. For non-UK residents I will send you something of an equivalent value. 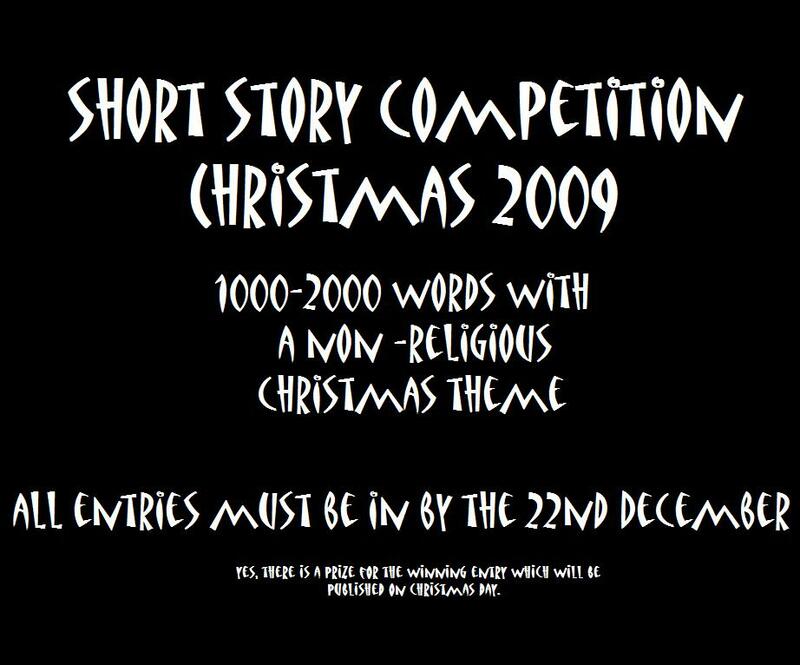 The winning story will be published on Christmas day with 2nd and 3rd placed stories being published over New Year. 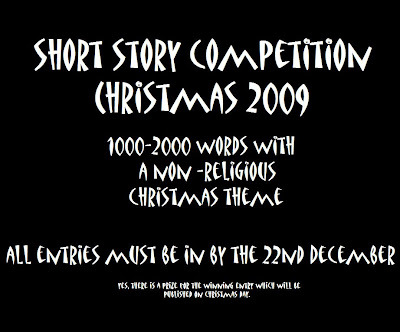 All entries will get published over the course of January. I've now set up an email account (truthfully I set it up ages ago but haven't really used it) for the competition. So send your stories to diaryofaledger1@googlemail.com or my personal email account if you have it.